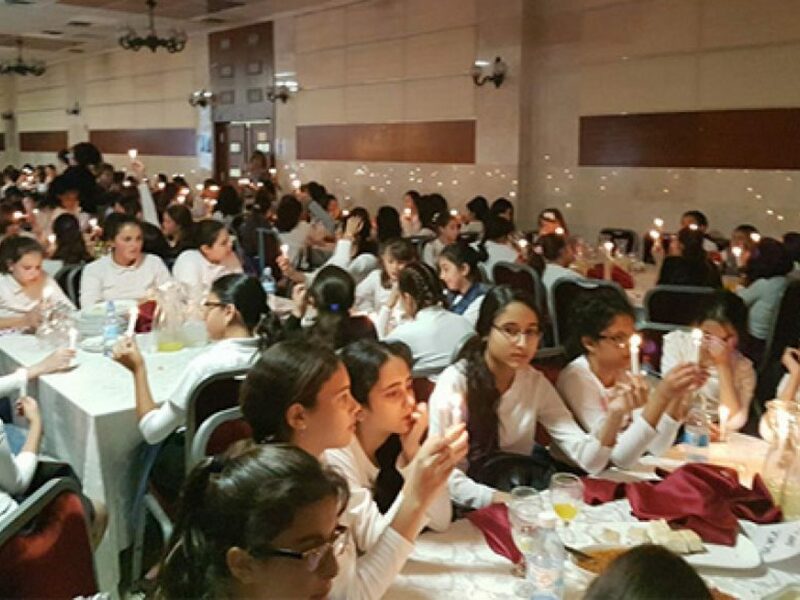 Over 300 girls from the 6th Grade who attend Shuvu schools throughout Israel – from Be’er Sheva in the south to Akko in the north – gathered together to celebrate their Bat Mitzvah. The Bat Mitzvah took place in central Israel where the girls enjoyed a full day of celebration, Song, Dance and activities, which culminated in a special dinner to celebrate their Bat Mitzvah. The girls were honoured that the newly appointed Spiritual Head of Shuuv, Dayan Yonasan Abraham, flew in from the U.K especially to join them, to celebrate with them. Dayan Abrahams addressed the girls with warm words of congratulation on the occasion of their bat mitvah and each one was presented with a beautiful Siddur to mark the occasion. We are so proud of our girls and are excited to have celebrated this special milestone with them!